The safety and security of our students is one of our top priorities at El Dorado Schools. And it takes all of us working together to ensure each student feels safe while at school. To provide an opportunity for every student’s concerns to be heard, we have a new system on the El Dorado School District app for Reporting an Incident. 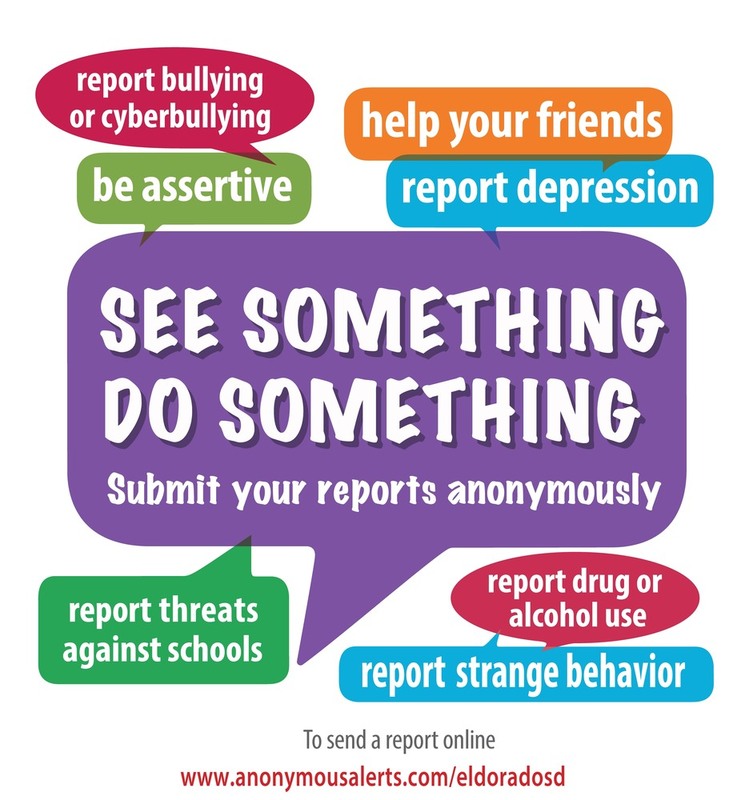 The system encourages students, parents and staff to confidentially report bullying, cyber-bullying, and other sensitive topics through private messages to our administration. Message topics for submission may include bullying, cyber-bullying, family difficulties, self-harm/cutting, drug and alcohol abuse, student depression, sexual harassment, gang related issues or strange/abnormal student behavior. 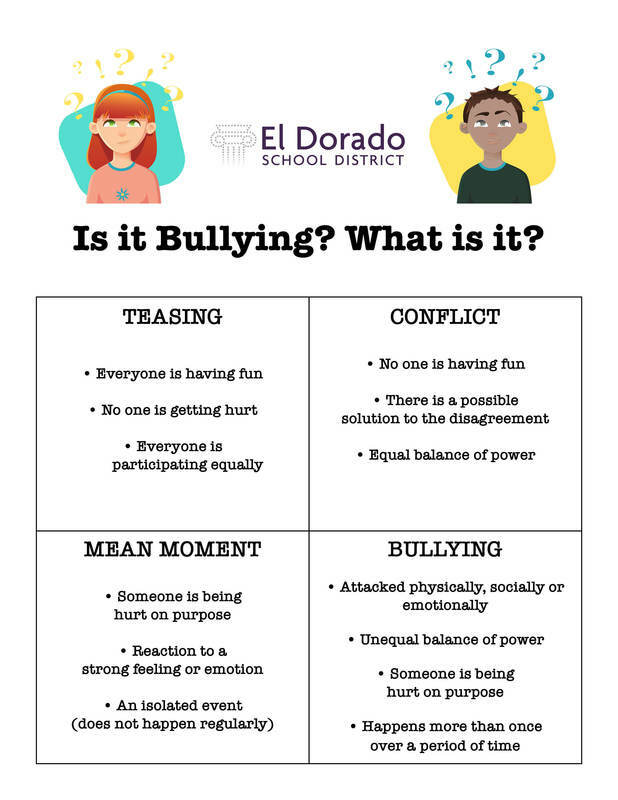 El Dorado School District does not support, encourage or tolerate any behavior that prevents any student from reaching their full potential. We believe that the best way to address problems that our students face in school is personal contact with a teacher, school administrator, psychologist or counselor and we strongly encourage and fully support that continued practice. However, we do know that sometimes there is a concern that a student or parent may want to communicate anonymously. On your mobile device, download the El Dorado School District, Arkansas app. To report any safety concerns through the app, reveal the Menu (top left corner) and tap Report an Incident. This will take you to the reporting system called Anonymous Alerts. There you can select the school you attend and give a description of the incident you want to report. You can also submit proof of the incident by adding related photos, screenshots or videos. If you do not have a mobile device with internet accessibility, you can visit the eldoradopublicschools.org website and click on Report An Incident in the Menu to submit a report online. You will be asked to give a phone number or email address before you submit your report, but you have the option to share that information or remain anonymous. This reporting system will allow for anonymous 2-way chatting between the person reporting the incident and school administrators. The program is monitored on school days from 7:30 a.m. until 4:00 p.m., and should only be used for serious and urgent matters. If something disturbing or life threatening occurs at other times, it is imperative to call 911. At El Dorado School District, our goal is to enhance the student’s learning experience and limit any roadblocks to a student’s success, giving everyone the opportunity to succeed.